I had a great patient come in today disappointed because one of his two implant fixtures failed during the healing phase prior to uncovering. 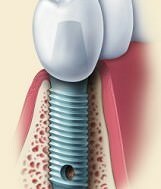 I have come to think of dental implants as invincible, the one procedure that never fails. Unfortunately, despite very low failure rates, we do have patients that encounter a problem. As I explained today knowing that the failure rate is less than X percent means nothing when you are in that group. In that case your experience of failure is 100 percent. I did what I know to do, and listened, acknowledged the frustration and disappointment without dismissing it or explaining it away. 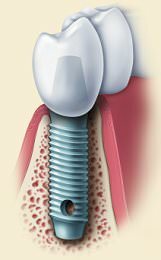 So what is the real failure rate for single tooth dental implants? A retrospective study including patients from 1982 until 2003 was published in 2005 in the International Journal of Oral and Maxillofacial Surgery. They found overall a failure rate of 8.16% in the maxilla and 4.93% in the mandible. The American Association of Oral and Maxillofacial Surgeons quotes a 5% failure rate on it’s website. Most of the studies I reviewed had failure rates of between 7-10%, granting a certain level of reliability in these numbers. There are patients who have risk factors which will correlate to much higher failure rates. Smoking current or past is a risk factor for implant failure along with diabetes, age at time of treatment over 60, head and neck radiation therapy and post-menopausal women who are on hormone replacement therapy. I was surprised that patients who have quit smoking are still at high risk, and the total years they smoked is a more direct indicator if risk then whether they are current or past smokers. One of the things that has always been true in our profession is that no one treatment is right for everyone, so yes there are still situations where fixed bridges or even removable solutions may be in the patient’s best interest. Do you have any unbiased research comparing success rates of different implant systems? I was speaking with one of my oral surgeons this week and was surprised (and impressed) to learn that at the end of each year he and his partner review statistics for all their cases. I found it interesting that they stopped using one system altogether because they found their failure rate significantly higher than with others (4% vs 15%) and was curious if this finding was consistent. It has led me to look back at other failed cases with other surgeons to see what systems they had used. Thoughts? Thanks for your stimulating blogs…. Studying failure rates in any field is no easy feat. Engineers study failure in construction and design because the “damages of failure” can cause be life and death issues. Their biggest problems also have to do with materials, forces and usage, just like ours in dentistry. post concerns implant failures…I was thinking about how many variables there might be from biologic (immunity factors, quality of bone, smoking as you mentioned), to mechanical and material factors. Not really sure how one would devise an unbiased study. In the end–I agree with you…failure rates are pretty low…much lower than post and cores. Every client has a unique treatment plan. Each set of invisible aligners are made especially for you. The aligners consist of a soft, easy-wearing BPA -free plastic that will not aggravate you gums and cheeks like conventional braces typically do. Regarding implants they charge much too much for a procedure that’s long and painful, with mixed results.